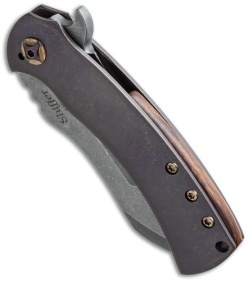 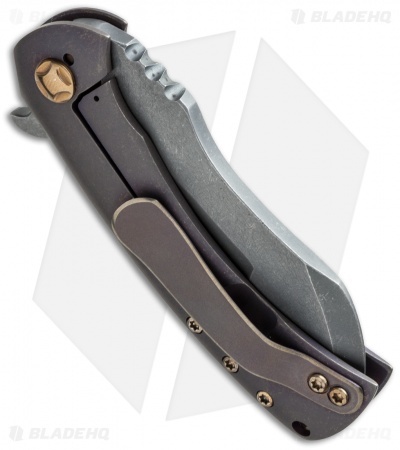 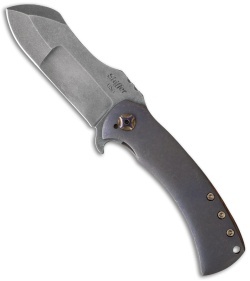 The Panda flipper from Doc Shiffer is a stylish design with a distinct bullnose, harpoon style blade. This knife has a marbled blue/purple anodized finished handle with a desert ironwood back spacer. Its compound ground blade has a light acid stonewashed finish.